The biggest obstacle in the growth of e-commerce is the issue of security. Internet is not a secured medium of communication. There are tools or options available to hackers whereby they can not only monitor but also control any data communicated over the internet. Particularly, people are not comfortable while providing their financial information (credit card no. etc.) online due to the fact that this information can be hacked and misused. The nature of internet technology e-business is such that private information of the online customers can be easily collected and recorded on the server side. The buying pattern of a customer can be known to an e-shop with the help of certain sophisticated tools. 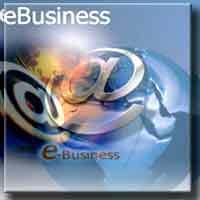 You know that cookies can be used to track customers online in Electronic business. On one hand these technologies are useful for doing customization but on the other, they can be said to have caused the breach of informational privacy rights in E-Commerce of a person.